Effect with start directly after the draw instead of after the publication of the player’s list on PTT website. 1)	A player give up during a match due to illness or injury - she/he lose points according to the rating system but NOT the penalty points – no multiple penalization! 2)	A player done show up for a match due to illness or injury – minus 35 penalty points will be effective without or with a medical attest! Penalty points can be discounted only ones during a tournament. Please read carefully attached documents already publish earlier. To answer some questions, starting October 2016 and all 2017 tournaments including the Regional Championships published on our calendar will be take in consideration for the Tournament Credit allocation EXCEPT the World Team Championships organized in Bratislava on May 13-20, 2017. For your remainder, players playing in team events ONLY will NOT accumulate TC points. As a result of PTT EC meeting in Kuala Lumpur and Senior classifiers meeting in Bratislava was decided, that No re-evaluation of classes and protest solving will be organized during 2016 tournaments. New organization of re-evaluation and protest solving from the year 2017 will be announced after PG in Rio. As no new cancellation were received, no need for the NPCs to confirm the selected players and teams. By attached, the final player’s list and team competition who can no longer be change. The final composition of the teams will be given by the Coaches in Rio to the TD and Referee. From now all rejected slots, for any reason, will be send to the IPC re-allocation system. 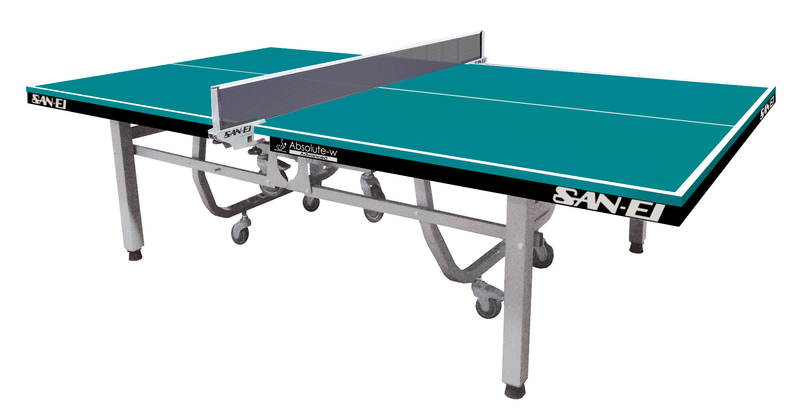 Each unused slot can be re-allocated to any sport, TT included. In Single Events, all replacements and Bipartite allocations have been accepted and no new confirmations are needed. Be informed that all rejection for any reason before April 23th can be replaced by the first “Alternate” player in order of ranking on January 15th. After April 23th, all rejected slot will be sent to the IPC who will add this slot to the re-allocation system. This means that the IPC can re-allocate this unused slot to any sport (TAT included). During our EC meeting held in Kuala Lumpur, follow decision was take concerning lower players playing in higher classes. This will be with immediate effect! - Classification for the class 11 players will be organized in El Prat de Llobregat (ESP) and Pattaya (THA). - Re-evaluation and/or protest will NOT be organized before the Paralympic Games Rio 2016. More information will be announced in time. Both documents (Single and Team) MUST be sent to the Selection Officer no later than March 26th! 02 February 2016 PTT Division Minutes of the PTT Division meeting in Vejle, Denmark on 10 and 11 October 2016.